Now that the opposition has officially fielded Ms Shinawatra as its prime ministerial candidate, many of my friends have turned off the radar, assuming that this is a miscalculation of Sarah Palin-like proportions and that the election is more or less a joke from this point onward. To dismiss this out of hand, however, would be a serious underestimation, and could be right up there with some people's underestimation of Cambodia. It is true that on the one hand you have a highly educated, savvy politician with an articulate manner, high intelligence, and proven ability to navigate extremely Machiavellian waters, and on the other hand you have a young woman whose political track record is unknowable and who, by virtue of her relationship to the tainted ex-premier is bound to alienate half the community. But to go from these statements to assuming that the election is already over is to ignore the tremendous power of sentiment. Sentiment, not logic, is going to sway the balance in July. And the idea of the first woman prime minister, the "breath of fresh air", is a powerful PR tool, not to mention the image of the little sister of the wronged, wounded Titan rushing to the rescue. One may consider whether the current government has not moved further towards implementing the spirit of Thaksin's reform rhetoric than Thaksin's own government did, or other such arguable issues ... but will such finely tuned arguments hold up against the soap opera? It is hard to say. Personally I would love to see a woman in the position of P.M. However, I don't imagine the current candidate would be my first choice. After all, number one on my personal priority list would be the building of a proper opera house. Therefore, I would like to suggest that my mother be nominated. 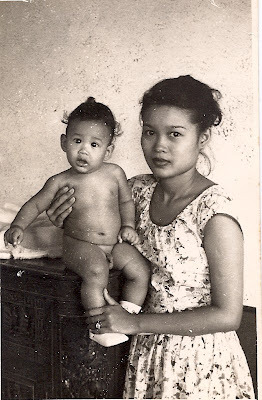 My dear mama has a more substantial history of being pitted against the current government than Ms Shinawatra. After all, there is now a daily cartoon in Thai Rath which uses her TV show and its social climbing starlet to lampoon the government. Her work has been the subject of a censorship debate. My mother has had experience in the diplomatic corps - her husband was ambassador in a number of significant territories, and everyone knows that it's actually the ambassador's wife who does all the real work. She's also produced a low-budget Hollywood movie, so she knows how to squeeze the most out of creative people. She's translated my books into Thai, and therefore it's clear that she can deal with the intricacies of language. She has an air of authority, a to-the-manor-born way about her, and is feared by all, from housemaids to cabinet ministers. She calls privy counsellors by their nicknames. I think this country would probably do a lot worse than to have her in the driver's seat. And we'd have a proper opera house, too.